Tristanians are fond of a party, and there is a regular calendar of annual events and celebrations. 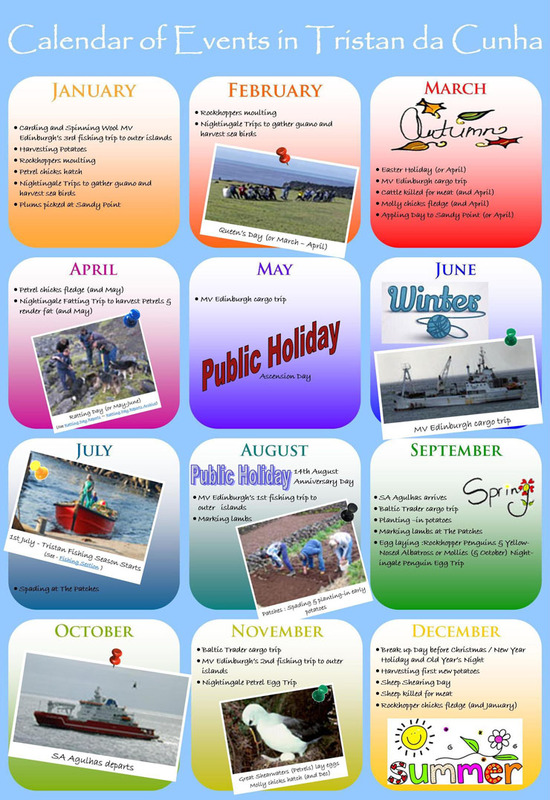 Shirley Squibb has designed this poster to show the main regular events on Tristan da Cunha and Nightingale Islands. Underneath there are links to pages to discover more.